The infamous mogamma3 building. It looks like the Death Star because it is the Death Star. 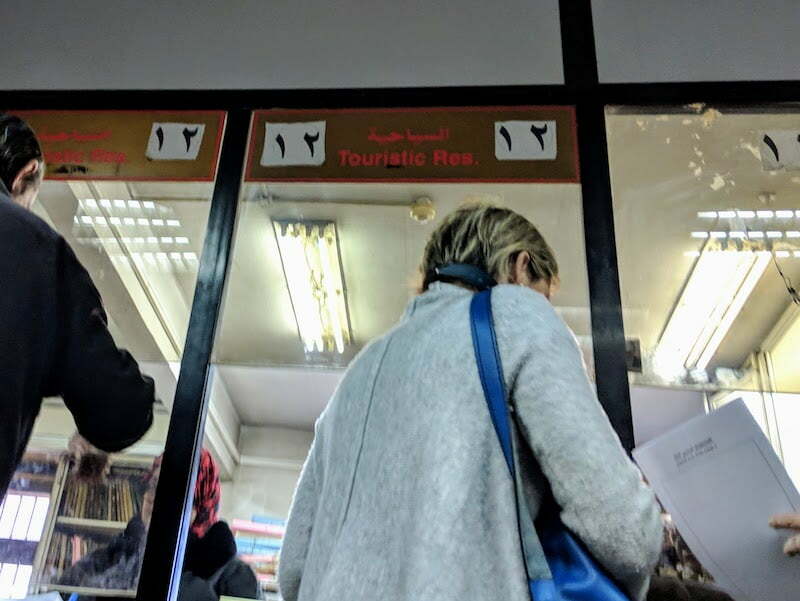 If you’re planning on staying in Egypt for more than a month, you have to renew your Egypt tourist visa in person at the Mogamma3 building. 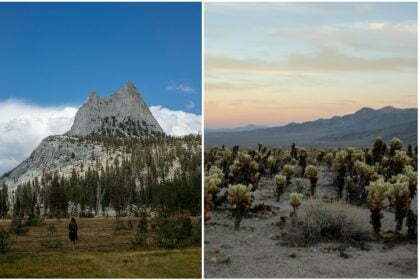 We only found some outdated/unmaintained guides on the internet and decided to keep this one here for you, updated and complete (last updated in February 2019)! 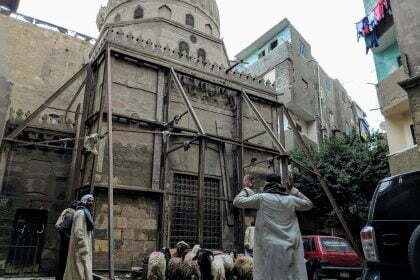 Like many things in Egypt (the transport being a significant one), the process is kind of hectic. Hopefully the guide below will help you make sense of it. Comment or drop us a line if something needs updating. Happy to give credit where it’s due! Can I renew my Egypt Tourist Visa online? 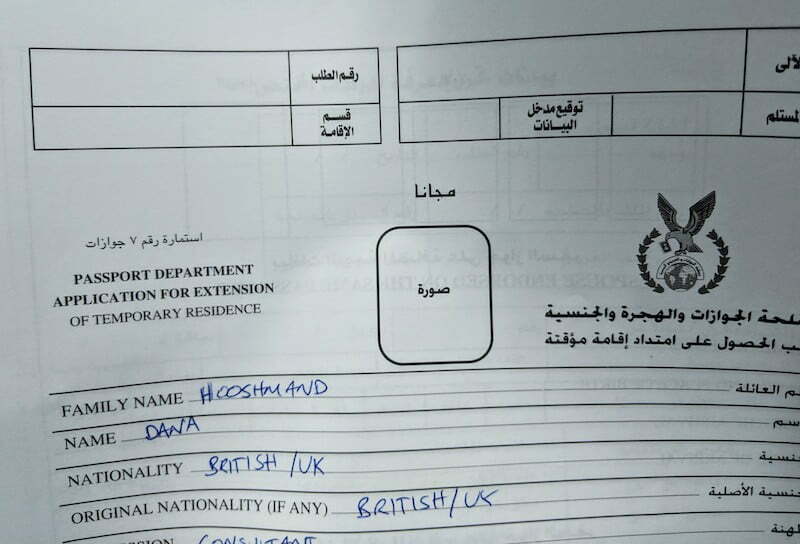 Is it easier just to leave Egypt and come back to get a new visa? Can I just overstay my visa? 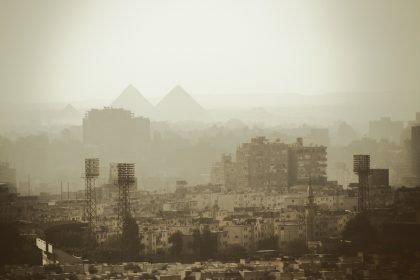 What’s the fine for overstaying my visa in Egypt? How long visa renewal takes: Renewing your visa will take you a few hours on two days, in the morning. Period of Egypt visa renewal: The period of renewal for your Egypt tourist visa is 3 months standard. There are no other options. Cost of Egypt visa renewal: It costs around 1,250 LE to renew your Egypt visa. 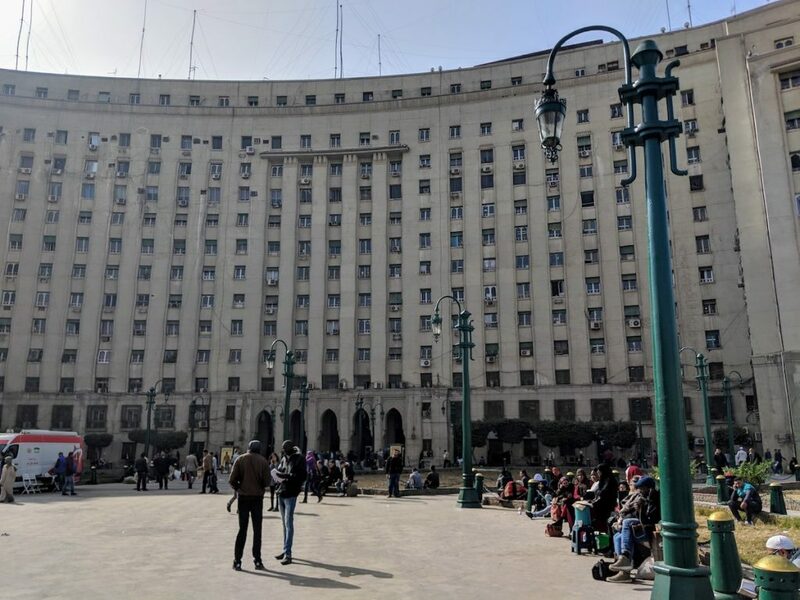 Where to renew your Egypt tourist visa: You have to go to the administration building in Tahrir Square (مجمع التحرير, mogamma3 at-taHrir). You can’t renew it online. 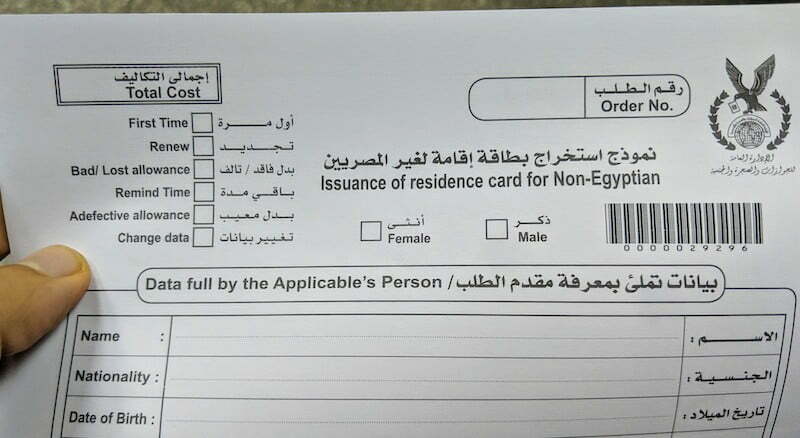 Services for Egypt visa renewal: You don’t need to pay someone to do it — they’re probably using this guide! Are there food and bathrooms: No foods, but there are bathrooms. Also, if something changes… make a note of it, and send us an email at [email protected] so we can help other travellers. Go in the morning, early in the week (Monday/Tuesday). Plan to arrive at 8am. Your Passport. If you have more than one, the one with the visa in it. The lighting is weird but the copies were fine. (To get photocopies if you don’t have them) Once you enter the building, look for the photocopy booth on the same ground floor. Go there and get photocopies of your passport. You can just hand them your passport and they’ll know what to do, but to be sure, show them the page (or pages) with visa stickers on them. If you need a re-entry visa: Get an extra copy of passport pages if you plan on getting a re-entry visa. Go back to the main hall, and go up the stairs — one floor. 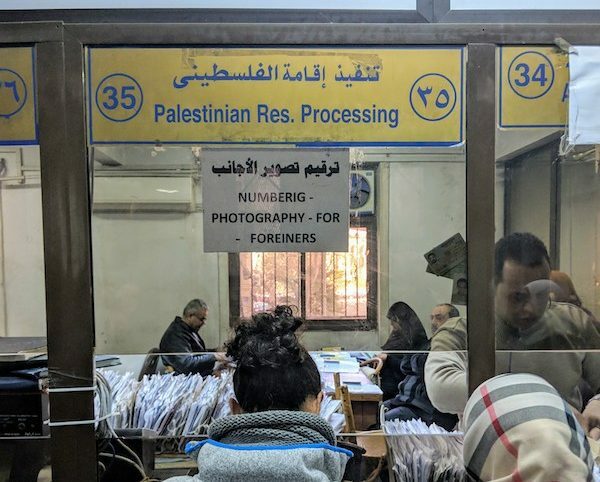 The wall sign doesn’t say “Visa” but you’re in the right place. Go through security on the right (you may receive a pat down). Turn immediately right, walk down the long hall. You’ll go past a lot of people sitting down and waiting. Maybe eating! These are people waiting for their passports on Day 2. You’ll get to a second chamber where it’s getting busier. Go through the second set of doors and go halfway down the hall to a station in the middle, near a T-intersection. It’s a police desk (it doesn’t have an english sign but says “شرطه” in Arabic). Get a form, a large A3 sized form, you’ll have to fill out. The first form you have to fill out. There’s only two nearly identical forms! You don’t need to put your phone number if you don’t have one. For ‘Religion’, put down something you think won’t cause trouble. Get your form signed by the police officer where you got the form. You’ll have to line up. It is usually about 10 minutes, but could take up to an hour. Pro tip for women: Queue up on the left. 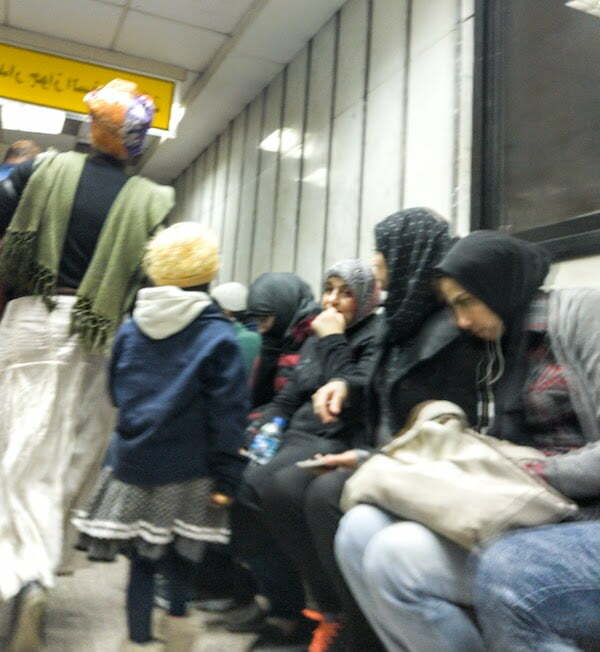 The queue on the left of the table is women-only, and usually much shorter! What Counter 12 looks like. Sorry for the weird photo angle. Trying not to get caught. Go to Counter 12 right at the end. In Arabic, 12 is “١٢”. Give them the form, a photos, your passport and photocopies of documents. The person will spend a minute or two checking the forms, but I never saw anything confusing happen. You’ll get a piece of paper from that guy, to take to the bank counter. Go to the bank counter. You have to go halfway back down to the hall, to where the police is, and turn left. Go down this hall and you’ll get to another area where there are booths. One of them says “Banque Misr” on it. That’s the one! Pay the fee at the counter and get a receipt. Go back to Counter 12 where you were and hand them the receipt. The person behind the counter will tell you to come back the next day at 9am. You can also come back another day, before the visa expires. You’re done. You should be out of there by 10-11 am. 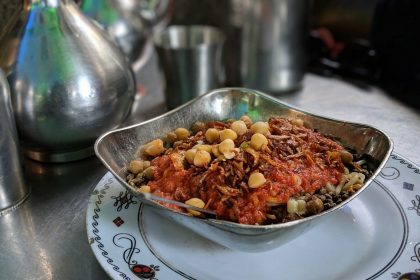 Go get yourself a delicious Egyptian lunch! 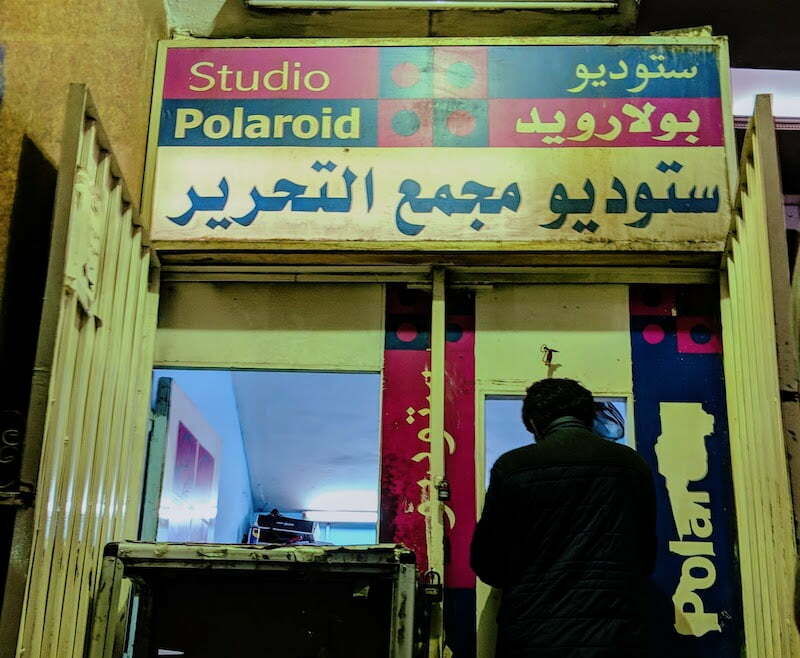 We recommend a shawerma at nearby Felfela, which is a popular spot that still knocks out delicious sandwiches for 10-30 LE (depending on size). 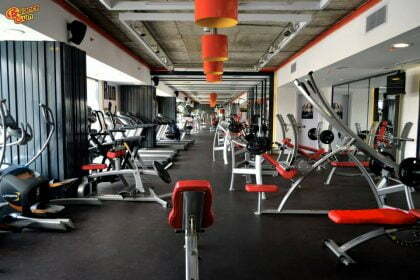 Cost: Take 50 per person (or more for fancier food). Just taxi fares, and coffee/food while you wait. Get ready to leave at 8:30am. You can sleep in for another hour compared to the previous day! Go to window 38. They’ll give you a new form to fill out, which you take back to window 38. Form 2 of 2 to fill out. How dare you call me a Non-Egyptian! Take this form back to window 38. The person will take the paperwork, and ask you to go to window 35 nearby. How dare you call me a “Foreiner”! You can now leave. On the way out, notice the number signs, and watch them: the numbers don’t go in order. You’re grouped somehow. But still, you can leave the building and go get a coffee or smoke some deadly morning shesha. These are people waiting around for their turn to be taken. Come back after an hour or whatever, go up to the security guard and give him your number. He’ll either wave you through, or tell you to go wait outside (if you don’t speak Arabic it’ll be clear from his hand signals). Get your photo taken, do your fingerprinting. Then, surprisingly, after it’s taken, they’ll say it’s all done and your visa is ready. Yay! You’re out of there by about 11am this time. 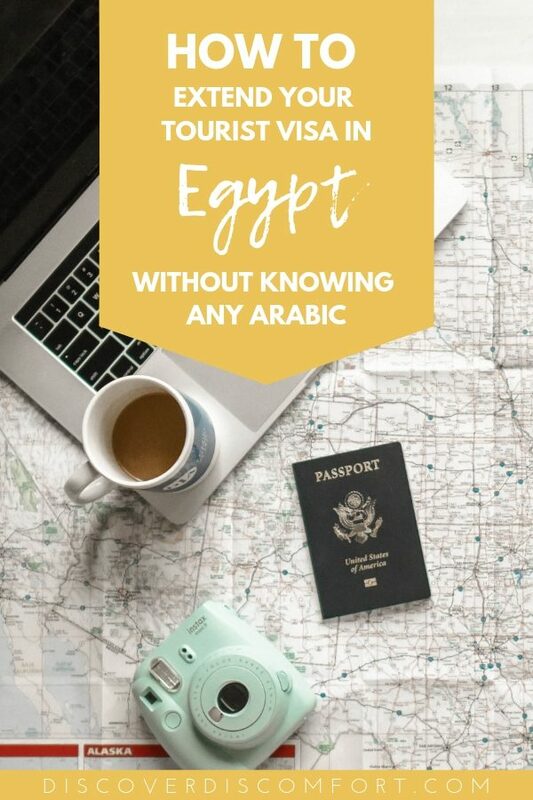 If you plan to leave Egypt and come back, like to visit a nearby country, you need a re-entry visa. The procedure for this is easy, but means you’ll ahve to come back on day 3. It might be easier for you to just pay for new visas at the airport coming back, but it’s up to you. After you pick up your passport, go back to the counter for re-entry visas, right opposite counter 12 you were at before. Get the form for re-entry and fill it out. Get more copies of your passport info page if you don’t have them (you ignored the advice above!). Go back up to the first floor. Return to the re-entry counter and hand it in. You’ll have to come back on Day 3 at 9 am again. Come back to counter 37 and drop off your passport. You’re told to come back at 1pm. Come back at 1pm and pick up your passport! It was very hard to find the costs for Egypt renewed visas on the Internet, and we only found out in person. We rely on people on the ground telling us for updates. 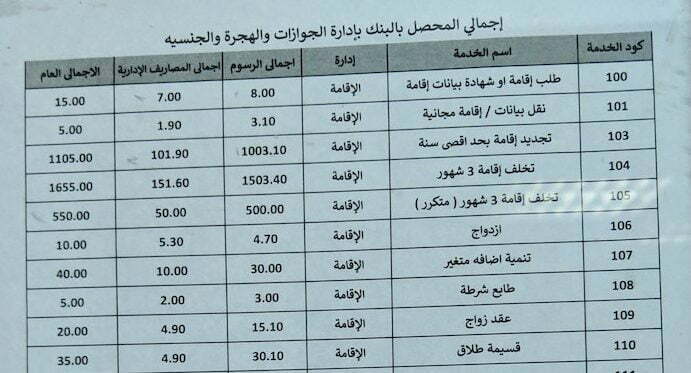 Total cost for Egypt visa renewal: around 1200 LE (about $70) per person. This might sound expensive, but the cost for a renewed visa is still cheaper than three consecutive one-month visas. Renewal of stay, maximum one year: 1105. You pay this plus presumably some stamping fee. If you want a 6-12 month renewal, you need proof of address which includes a lease with your name on it (AirBnB doesn’t work). 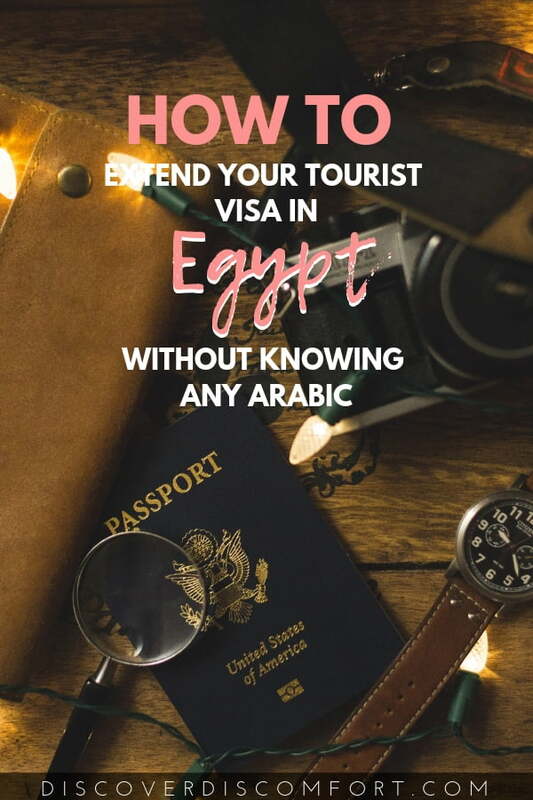 It’s very easy to get a visa on arrival in Egypt. You line up for a few minutes, pay $25 (cash only, USD) and get a visa. 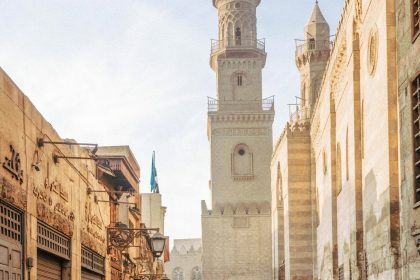 If you have some travel to do to a nearby country — like anywhere in the mediterranean — that’s an option. Note the Egypt visa you get when you return will also be only one month. Unfortunately there are no “official prices” for overstaying your visa. Anecdotally we’ve heard the following but we do not recommend relying on it as enforcement of these is random. If you overstay your visa in Egypt for up to a month to a few months, it will cost you 1505 EGP. But it will only take you two minutes to pay the fine. If you overstay more… we don’t know. But people have done it.